1Not all sales at MSRP 2Must qualify through GM Financial. Not available with special finance, lease, or some other offers. Take delivery by 04-30-2019. See dealer for details. 3Not available with special finance or lease offers. Take delivery by 04-30-2019. 4Excludes L models. Monthly payment is $13.89 for every $1,000 you finance. Example down payment: 5.2%. Must finance with GM Financial. Some customers may not qualify. Not available with lease and some other offers. Take new retail delivery by 4/30/2019. See dealer for details. 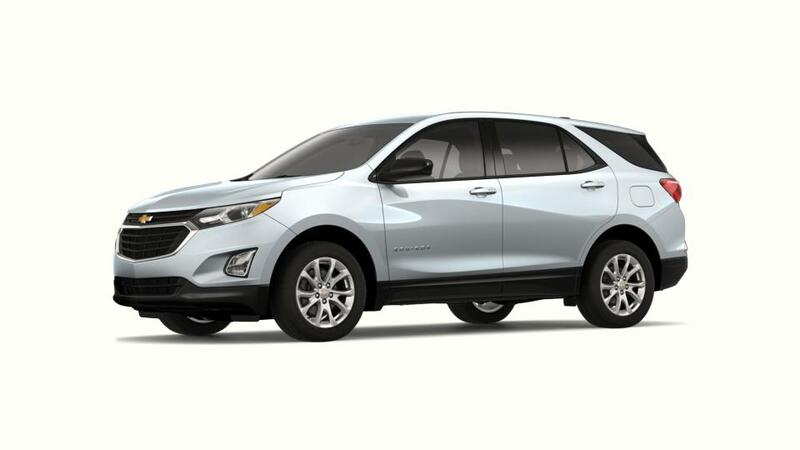 The Chevrolet Equinox is a small SUV that is a joy to drive and fuel-efficient too. This vehicle creates a stunning impression with its seamless exterior and 18-inch custom-styled aluminum wheels. The interior of this crossover was designed with keeping your comfort and ease in mind; with leather-appointed seats, this crossover also suits your spacing demands for cargo. The Equinox takes your security seriously; it has a wide array of security features like forward collision alert, rear cross traffic alert, and lane departure warning system to guard you in the event of an accident. This crossover has state-of-the-art connectivity technology; its built-in 4G LTE Wi-Fi® can easily connect up to seven devices which keeps you linked to the entire world. Explore the new Chevrolet Equinox at our dealership, Chevrolet Buick GMC of Helena, near Great Falls and Townsend, to learn more.